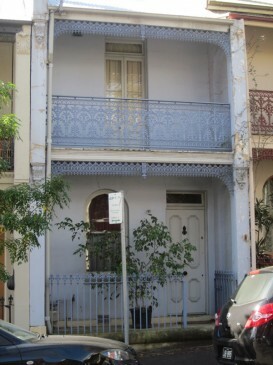 The childhood home of Robin, later Sir Robert, Askin, Premier of NSW from 1965 to 1975. The NSW Premier whose vision for Glebe was its partial disappearance under a network of freeways lived for nearly 30 years in the suburb, here at 29 Talfourd Street and at 11 Lyndhurst Street, and attended Forest Lodge Infants and Glebe Primary schools. Robin was born on 4 April 1907, the oldest of three sons born to Ellen Halliday and William Askin. There has been some confusion over his birth year (sometimes given as 1909) possibly because his parents did not marry until 1916 and Robin’s birth was not registered until 1922. He spent his early years near Wellington where his mother’s family worked. Robin, his mother and brother joined his father’s family living at this house in about 1914 – a household of six adults and two children. Robin Askin changed his name to Robert before receiving a Knighthood (KCMG), on his own recommendation, in 1972. His public life (including evidence of corruption) is well documented, notably in a lengthy article in the Australian Dictionary of Biography and Divid Hickie’s The Prince and the Premier, published in 1985.